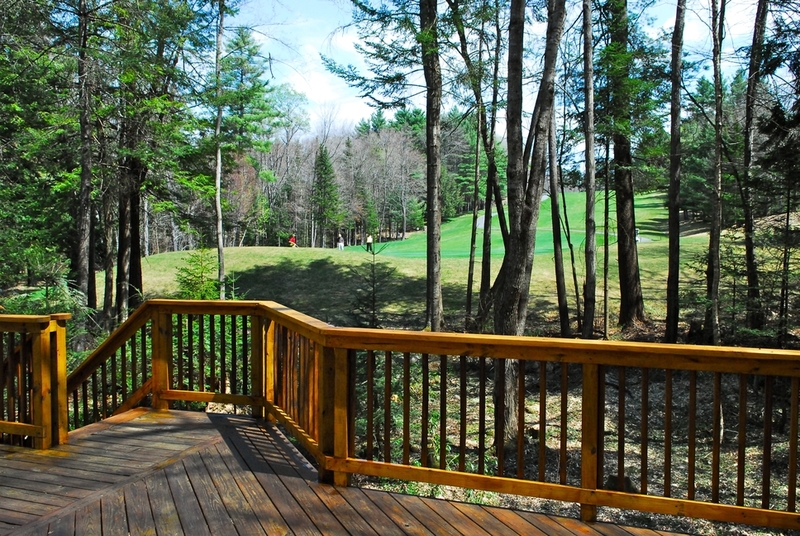 What a great location in Eastman NH, right on the golf course!! Renovated and ready to go!! Sited nicely overlooking the 6th green of the Eastman Golf Links this home can be yours just by adding furniture. A new expanded kitchen with stainless appliances and granite tops is waiting for those small family dinners yet is plenty large enough to handle your largest gatherings. The propane stove is the focal point of the living room with vaulted ceiling. Two sliders flank the fireplace providing access to the large deck and views to the golf course. A first floor master with walk in closet completes the main floor living. The lower level has two bedrooms, a large family room with a slider looking out onto the gardens and an ample laundry/utility room. The second floor loft is plenty big enough for extra sleeping, an in home office or space for many grand kids. Both baths have new tile floors and vanities with granite tops. Start making new memories! !